Apparently, there is a trend to 13-inch notebooks. That's not surprising, because this size offers an excellent mobility and at the same time a performance close to bigger competitors. The Vostro 3300 is a cheap business entry-level notebook. After the Vostro 3700, the biggest member of the Vostro family with 17-inch display and the smaller Vostro 3500, we now look at the Vostro 3300, which belongs to the increasingly expanding 13-inch range. Apparently this class replaces the formerly very successful 14-inchers, which disappear bit by bit and only persist in the upper business range. 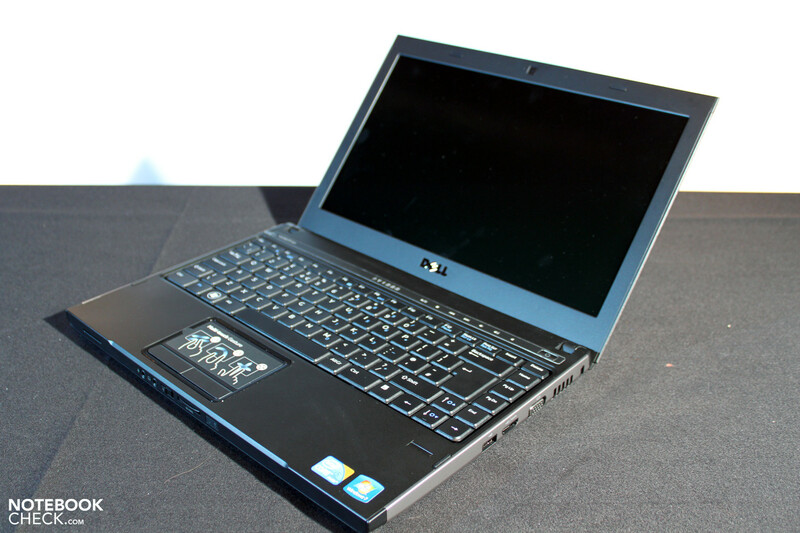 The 13-inch range is especially interesting, because it offers nearly all options: built-in optical drive, powerful processors, and even dedicated graphics solutions. 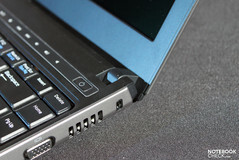 Furthermore, the appropriate size of the input devices and the display still allow to some extent comfort in daily use. 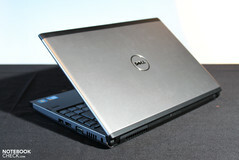 Following, you'll read a first short review done during the Technology Camp of Dell in London. 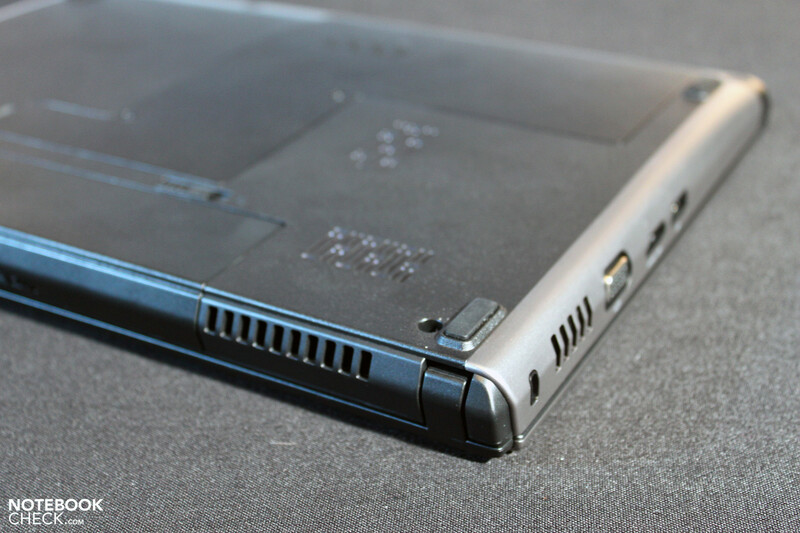 We'll try to get a test device for a comprehensive review soon. 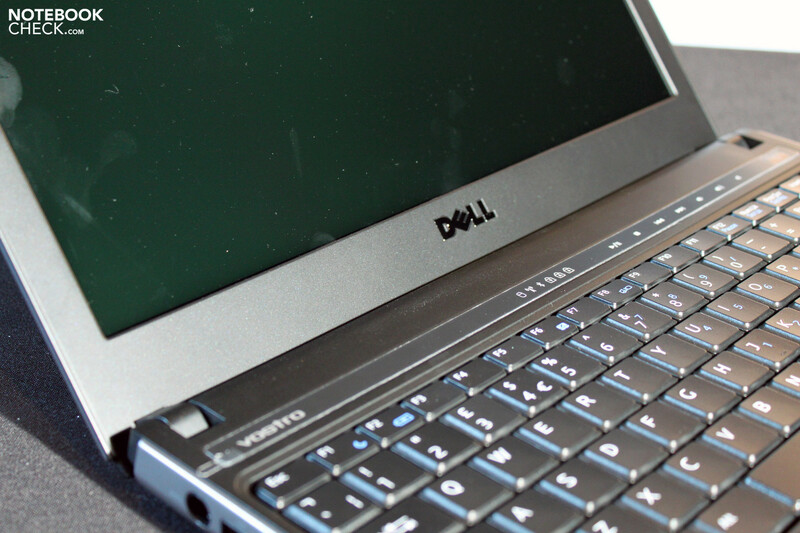 No doubt, it is a further member of the current Vostro family from Dell with the typical aluminium bezel of the display lid and the lateral edges. 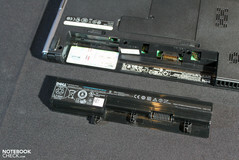 Contrary to the Vostro-V-models plastics is used for the bottom side. The same is true for the inner surfaces. So, notebook looks elegant as long as closed, and discreet once open. Regarding stability the good flexural rigidity convinces. In general, this is also true for the pressure resistance, but, the display lid and the bottom side of the base unit slightly give under selective pressure. Compared to the display the hinges seem small. Their resistance during adjusting the opening angle seems alright, but there is a slight luffing afterwards. Alike its bigger colleagues, also the Vostro 3300 only uses the lateral edges to offer various ports in an as ergonomic as possible way. The connectivity is rather meagre. 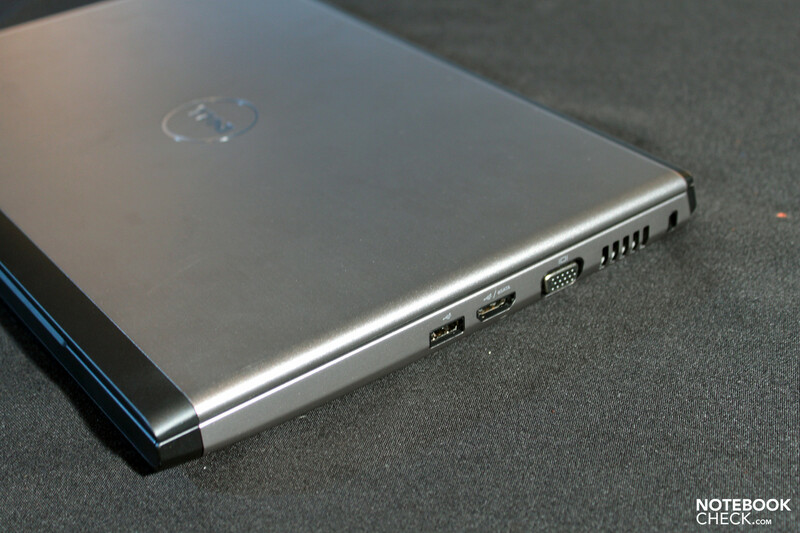 There are only two USB 2.0 ports in the rear part of the right and the left side. In return you might like the USB/eSATA combination. 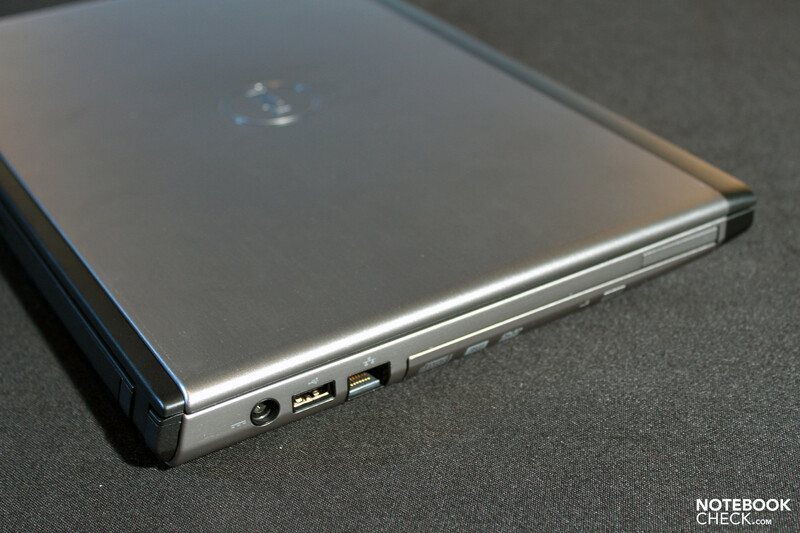 The usual VGA-port in the rear part of the right side is the only video-out. Connecting a big external screen is especially interesting if used stationary. Some users might consider the transfer quality and the resolution of the VGA too low. 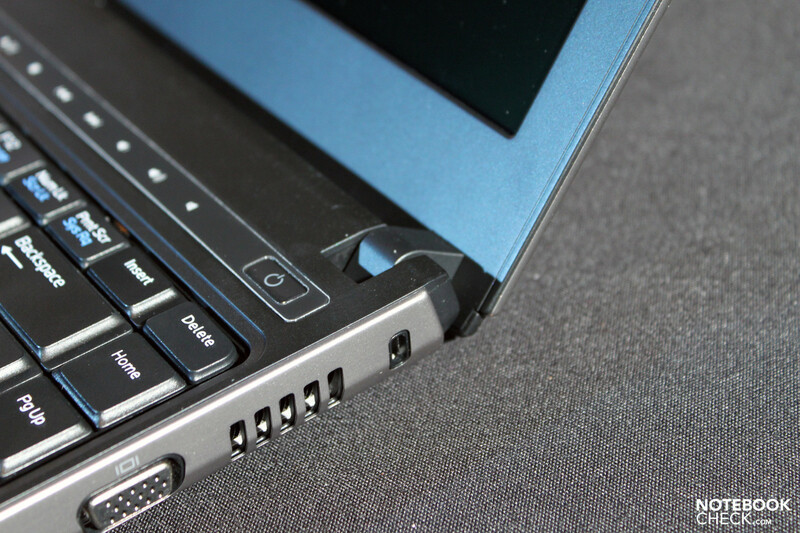 We are pleased to find a built-in optical drive and an 34mm Expresscard slot. 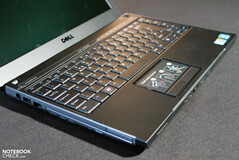 The later allows to enhance the notebook by the one or other feature. The front side of the notebook only houses the audio ports (headphones, microphone), a 5-in-1 card reader and a hardware switch for controlling the WiFi module. 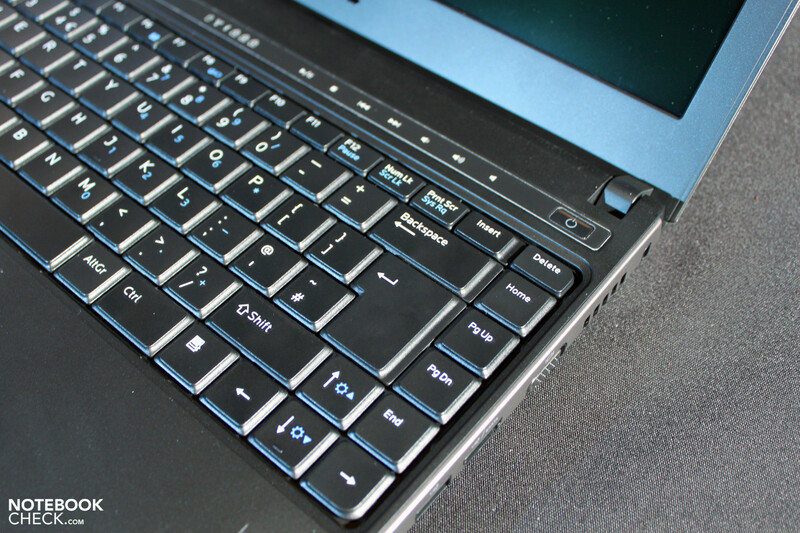 Again, the built-in keyboard offers the typical Vostro layout. All keys have a comfortable size, whereas the top row providing the function keys is apparently a bit smaller. However, this should not disturb in daily use. The impression of our first typing is positive. We liked the comfortable feel and the good pressure point. 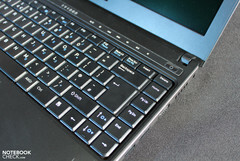 Typing somewhat more forcefully, the keyboard slightly gives and possibly clatters. A keyboard with light is said to be available as option. Especially in dim environments this is an advantage. In general the touchpad appears to be the same as used by the bigger colleagues. 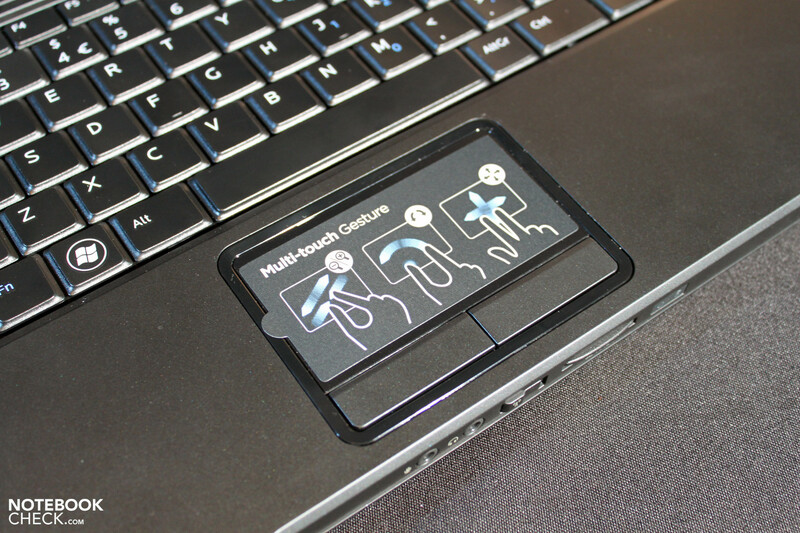 It offers multi-touch support, a comfortable surface, and a haptically clear border to the palm rests. 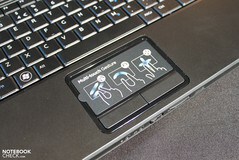 The touchpad works precisely in our first test. 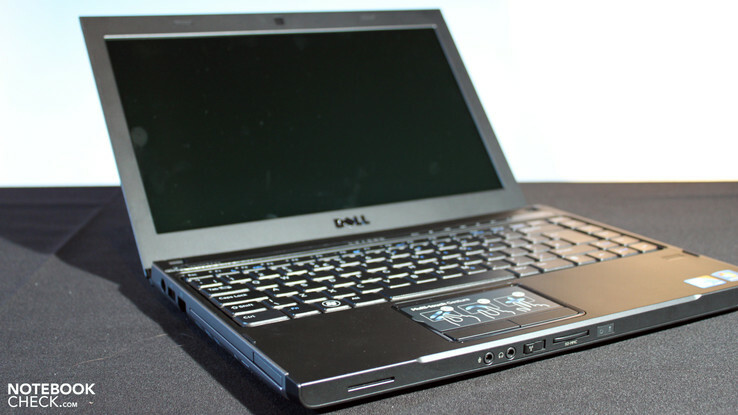 For the present, the Dell Vostro 3300 is only offered with a single display model. It is a matte WLED display with a resolution of 1366x768 pixel and a diagonal of 13.3 inch (34 cm). 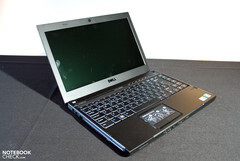 The desktop size is alright for a notebook of its size and sufficient for simple office and internet applications. However, working with many open windows or software with a lot of toolboxes might be uncomfortable. The measurement values of the built-in display (AUO112C) are typical for cheap entry-level office notebooks. The maximum brightness of 195.3 cd/m² was measured in its center. Towards the corners the brightness falls down to 162.1 cd/m², which still gives a good illumination of 83% and an average brightness of 180.7 cd/m². The contrast can't convince. Due to a black value of 1.21 cd/m² and the maximum brightness, the calculated maximum contrast of 161:1 is just modest. This is also visible to the naked eye. Especially black tones appear rather pale and grayish. Although we could not test it in practice, our preliminary opinion regarding outdoor capability is ambivalent. On the one hand the matte surface reduces reflections. On the other hand the contrast of the just modestly bright display might suffer even more in bright environments and it could get cumbersome to recognize anything displayed. So, you'd presumably better work in the shade. The viewing angles to not belong to the pros of the display. Vertically as well as horizontally even small deviations from the ideal position lead to color changes and partly contrast losses. Especially in mobile use, this might cause a frequent adjustment of the opening angle. 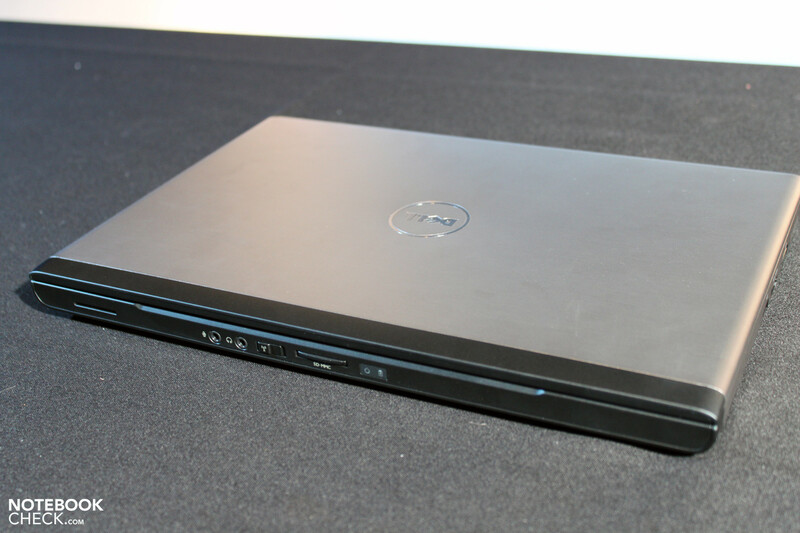 Typical Dell, also the Vostro 3300 can be rather freely configured. The options include current dual core processors of the Arrandale-range (Core i3, i5) and two different graphics solutions. You might either opt for the Intel GMA HD Graphics, integrated in the Intel processor or the slightly more powerful Geforce 310M from Nvidia, an entry-level GPU. Its performance is, e.g., comparable with the already old Geforce 8600M GT. So, the dedicated graphics solution might be interesting for multimedia users, who want to enjoy HD contents or play some older games, or users who require the features of the GPU for special applications. Those who focus on office tasks might prefer the integrated GMA HD graphics, because its performance suffices video playback, needs less energy, and has a positive impact on the emissions of the notebook. The same is true for the choice of the CPU. A Core i3 is alright for daily office use. A more powerful Core i5 CPU, which also offers the turbo feature to dynamically adjust the clock rate to the demands, just pays off if more demanding applications (database, some calculations,…) are run. Just the Windows 7 performance index was available for an evaluation of the performance. The configuration at hand, Core i5 M430 CPU, Intel GMA HD, 3GB RAM, 320GB/7200 HDD, and Win7 Home Premium 32 Bit, achieved 4.5 points. Hardly surprising, the built-in graphics chip turns out to be the bottleneck. According to Dell's homepage up to 8GB DDR3 1066 MHz RAM in 2 DIMM modules are possible. They offer a maximum of 6GB RAM (4GB+2GB), which cost 90.- Euro more compared to 2x2GB, and are only sensible for special applications. Regarding available hard drives Dell lists models with a speed of 7200 rpm and different capacities. In order to better protect your data, all models feature a shock sensor. Encrypted models are offered too. At the time of writing SSDs cannot be selected. In Idle/Office operation the Vostro 3300 on exhibition always stayed in the green regarding surface temperatures. We recorded a maximum of 31.6 °C for the top side of the base unit. Subjectively the surface only gets slightly warmer. The bottom side reached a maximum of 38.7°C. So, using the notebook on your lap for a longer time might get somewhat uncomfortable. 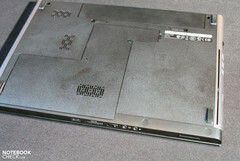 The fan runs permanently and blows warm air from the inside out. The hard drive is also audible. Especially in quiet environments its noise might get obtrusive. Dell offers a 40 Wh 4-cell battery by default and an optional 8-cell battery. The later presumably protrude a bit. Depending on the configuration, you can't expect a long runtime with the small battery, because the energy demand is assumably about 10-15 Watt in standard operation. This would give a battery life of about three hours. At least in terms of size the Vostro 3300 proves to be the logical continuation of the Vostro family from big to small. In many aspects it resembles its bigger colleagues. The meagre connectivity, e.g., no digital display-out and no docking port, are a main point of critique. Apparently, the later appears to be reserved for the more expensive Latitudes. We liked the compact design, the aluminium inlays, and that the notebook can, typical Dell, be rather freely configured. In order to stay readable in adverse light conditions such as outdoors in the sun, the display should be brighter. The Vostro configured as Office professional with big battery could be of particular interest. The battery life should be rather short with the standard 4-cell battery. The price of the base configuration is about 460 Euro. Take care, Dell lists the business offers without VAT and P&P. So, initially price advantages might quickly vanish for consumers. The same is true for the one or other frivolously selected option. Indeed, typical Dell.